Welcome to the home of Rocky Mountain Kids, Inc., where we are empowering abused and neglected youth to be more self-sufficient. What is Rocky Mountain Kids? After forming a nonprofit organization the directors of Rocky Mountain Kids, Inc. Felice Liquori and Kyla Knapp decided to join together and expand. Now with over 21 years of service to teens, we have four group homes in Colorado Springs. The children and teens ranging from ages 8-20 are supported by a caring staff in a safe environment where they can heal from the abuse and neglect in their past. They are given opportunities to participate in extracurricular activities, including school sports and enrichment programs. The teens are also provided with life skills training, educational support, and assistance for employment. These skills will help them succeed in life, whether their goal is to return home, or emancipate and live independently. ​Some of the homes have an innovative apartment program, where a young man emancipating into self-sufficiency can use the upstairs apartment and "try out" his new independent status to prepare to transition out of our homes. 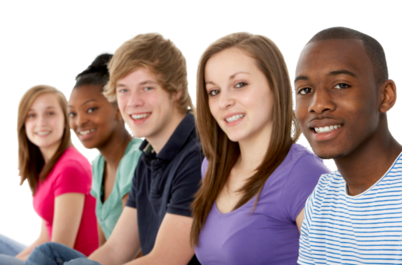 Typically, the length of stay for a teen in our program varies from 6 months to 2 years.